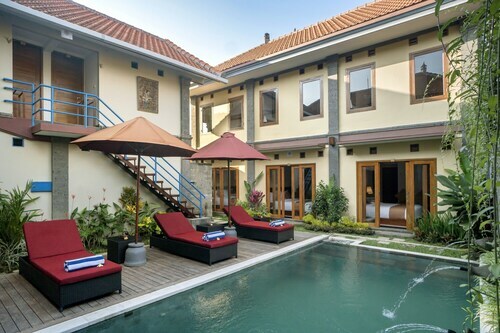 Seeking an interesting neighbourhood in Ubud? Petulu is situated 2 kilometres northeast of the city's centre. Spend a day sightseeing in Ubud and visit Ubud Monkey Forest and more. Check out the schedule of exhibits, artworks and music shows happening at Gaya Ceramic Arts Centre. The Viceroy Bali and Villa Amrita are great if you'd like to sleep close by. With numerous engaging and noteworthy creations, Nyoman Ada Gallery affords a quality outing. 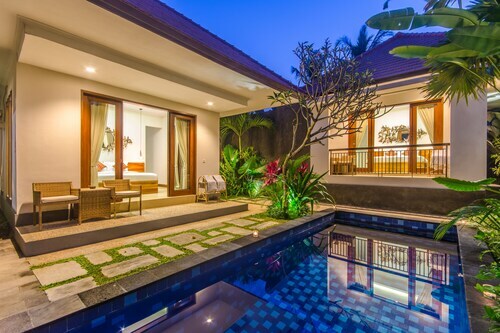 The Bidadari Private Villas & Retreat and Villa Puri Darma Agung are your leading options for this site. Do you have trouble facing the day without a morning coffee? You'll be happy to know Petulu boasts some fantastic cafes. Clear Cafe is a local favourite, offering a mouthwatering range of hot drinks and cakes. If a snack isn't going to be enough, go and peruse the impressive menu at Kajane Mua. There's something for everyone at this well-patronised eatery. If you're after a few drinks before you head back to your room, why not stop by Nomad? Who knows, the bartender may even be able to give you some tips on what to see tomorrow! Finding accommodation in central Petulu can occasionally be difficult if there are limited options available, but you can relax safe in the knowledge alternatives are available in the Campuhan Ridge Walk hotels guide and in the Wotif Penestanan hotels guide. Campuhan Ridge Walk is home to the Villa Nirvana and Hotel Tjampuhan Spa, while in Penestanan you can check out the latest deals and amenities at The Sungu Resort & Spa and Sri Ratih Cottages. The world is full of incredible places to visit, and Wotif can help you see them all. So what's holding you back? Stop dreaming and start your Petulu holiday today! How Much is a Hotel Room in Petulu? Hotels in Petulu start at AU$54 per night. Prices and availability subject to change. Additional terms may apply. 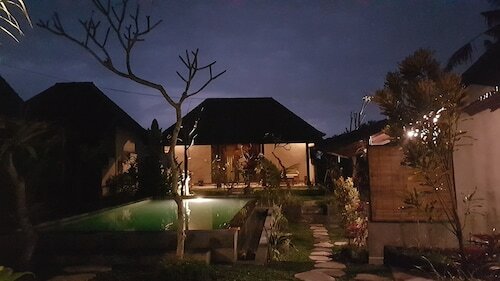 Hartaning House is a stones throw from Radiantly Alive Yoga Studio, Bali Buda Health food store and restauarant and the Main Street of ubud without the hustle and noise.. It's convenient, very clean and intimate. The staff made an error with my booking and swiftly rectified it and upgraded me so bravo for great customer service. Beautiful Villa, fantastic staff. Really enjoyed our stay here. Easy enough to get transport and a great restaurant up the road about 200m on left (heading towards Ubud city). Excellent day spa a couple of doors up too.